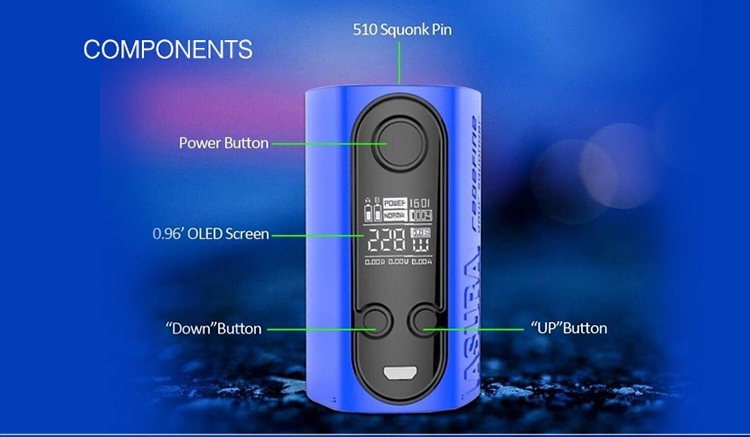 Latest HugoVapor ASURA 228W Squonk Mod is in stock at Efun.top. Don't forget to log in to get really low price. 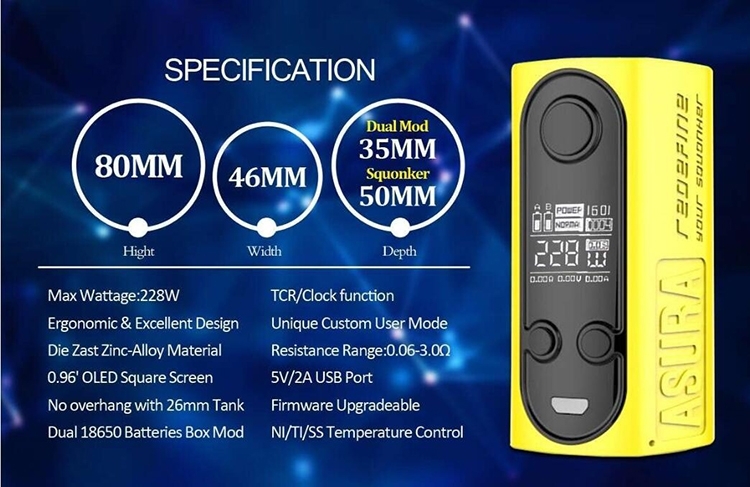 The Hugo Vapor Asura Mod is the first device that combines a TC box MOD and squonk MOD in a compact unit, which means that it comes with detachable squonk system for squonk enthusiasts. The die zinc alloy construction makes the Asura so durable in use. The 0.96 -inch square display shows the function of the clock, temperature control, and the variable wattage. Powered by dual 18650 cells with the GT228 chipset, the Asura can fire up to 228W maximum output. Not only Squonk fans but also regular TC box MOD lovers will be satisfied to the Hugo Vapor Asura Squonker Box Mod.